Calendar Crabs – should it come back? » Reply To: Calendar Crabs – should it come back? 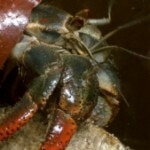 Home › Forums › Chewin’ the Choya › Calendar Crabs – should it come back? › Reply To: Calendar Crabs – should it come back?